Sony's treasure hunter finds gold for the PS3. Separately, these are simply elements of the larger experience, and while each piece is well executed, the glue that keeps it all together is the combination of the characters and the storyline. 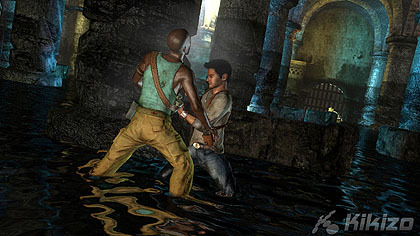 Nate and his fellow cast members, the cigar chomping Sully and vim-filled reporter Elena, come alive under Naughty Dog's brush. Nate is sort of a young Indiana Jones - slightly cocky, wise-cracking and foolhardy. He says he's a distant relative of Sir Francis Drake, the 16th century navigator, who in this version of the story faked his own death and headed off on one more mission to find the legendary treasure of El Dorado. 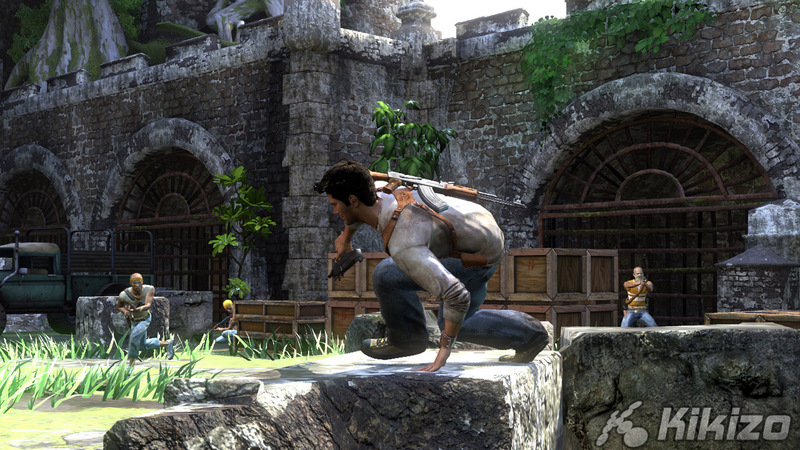 Naughty Dog's layered animation system is one of the visual highlights. Sumptuous cut-scenes deliver the lion's share of story, which takes place mostly during one crazy day. Nate's quest is dogged by pirates and fellow treasure hunters who arrive on the scene, only these guys play loose and shoot first. It all goes about the way that you would imagine it would but the characters are interesting enough that you end up caring about them all anyway, even if you only get to control Nate. Like any good treasure hunt, there are puzzles to solve along the way. Nate's guide to the treasure is a diary left behind by Sir Francis. It's not giving away anyway to say that the diary carries clues to help you solve the puzzles, but there's so much hand-holding in these sections that I felt robbed of the sense of achievement that comes from figuring out the solution myself. There are other ways that the game delivers the incentives that will pull you through the 12-or-so hours of gameplay in rapid succession. Naughty Dog has instituted a rewards system that grants you points for doing various things in the game, whether that's picking up a certain number of hidden treasures or picking off enough enemies with head-shots. It's about as close as you'll get to Achievement points on the PlayStation 3, only without the scope that comes with Microsoft's console-wide application of the system. I don't want to turn this into a console comparison though. No matter which system this came out for, it's got the goods that make it one of the year's best. The action in the game feels fast and the story is engrossing, leaving a trail of bread crumbs that I couldn't help but follow to the end as quickly as I could. And unlike so many other games out this year, the ending feels like a real ending, bringing closure to the story while leaving just enough space to open the path to a sequel. And with Uncharted being as good as it is, that just puts me in waiting mode all over again. Before starting to play Uncharted for this review I was conscious that perhaps I had let my expectations get the better of me, building up the game enough that Naughty Dog wouldn't be able to satisfy me. I had no reason to worry. I fell in love with the characters and wanted to help Nate, Elena and Sully reach the treasure, and I had fun along the way. 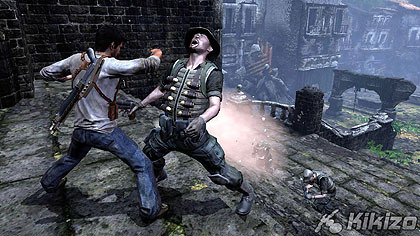 THE VERDICT: The cover system works well and complements the gunplay, providing an experience that is a must-play if you have a PlayStation 3. And if you don't, well, now is a good time to start thinking about picking one up.